Women journalists gathered at an interface FF organized on November 28 voiced that time has come to press the media to make social issues main news. It was the female only interface organized to discuss women’s presence in Nepali media on November 28 in Kathmandu. 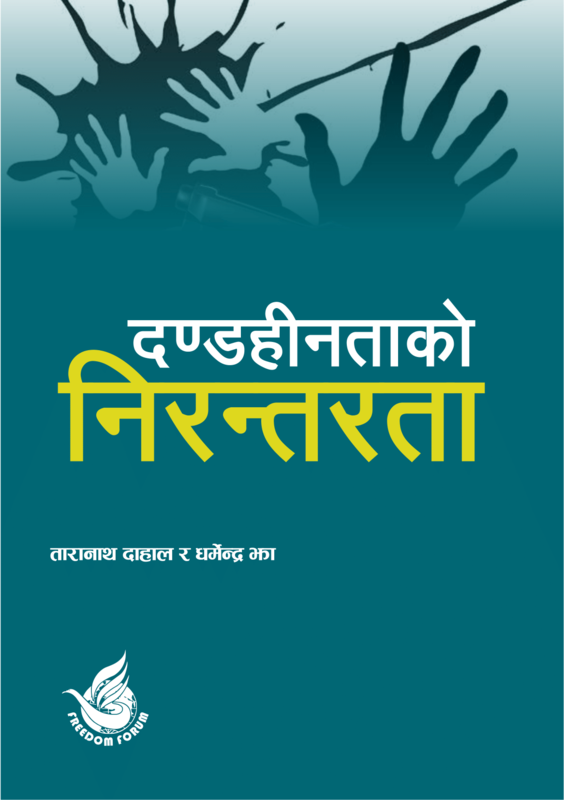 During the program, a report on content monitoring of Nepali media outlets through gender lens was presented. The data generated after monitoring a total of 3,666 news stories from nine national dailies and six online media from January to September 2018 was presented at the program to show the comparative study on presence of women in the media. Compared to the male’s presence, women’s presence is obviously low e.g. among article writers in the national dailies monitored the women’s presence is 22% against 78% male. The report concluded that news from online media are more inclusive than print media in terms of byline, and news source. Senior reporter at the Himalaya Times daily Ms. Rama Luintel argued that encouraging female to report on main beat is one solution but time has come to change the trend of news. “Media must prioritize social news as main news content. Female journalists also need to speak with editors to provide proper space for our news stories,” she called on the fellow journalists. 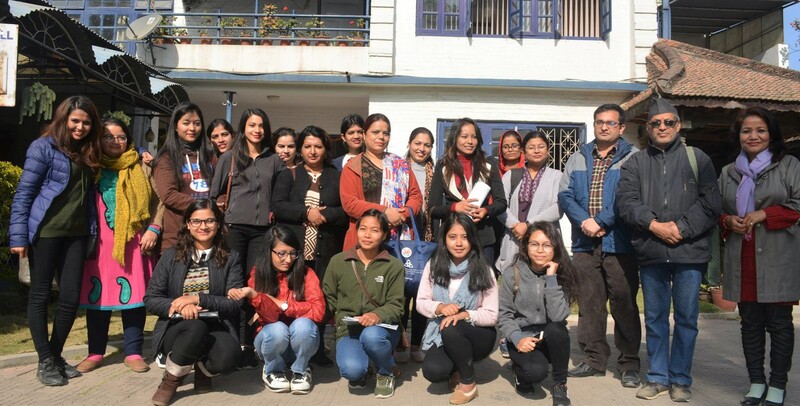 “Though small, I am excited to see positive changes in women’s presence in Nepali media,” said Executive Director at Ashmita Women Publication House Ms. Sarita Shrestha. Quoting their previous studies on gender equality in Nepali media contents, she shared women have always been presented in a submissive role in Nepali media. Speaking at the program, Chairperson at Working Women Journalists (WWJ) Nepal Ms. Amika Rajthala stressed that journalists should also be gender sensitive and link issues of women while writing news on other sectors like federalism, parliamentary activities, election, etc. Female journalists should also be ready to bear challenges otherwise, it is difficult to retain in media industry, suggested Ms. Rita Lamsal from Lokaantar online. Gender expert and desk editor at National News Agency (RSS) Ms. Pabitra Guragain said our socialization is different from that of male so facilitation by coworkers is important. Trivialization of social issues is also one factor for majority of political issues on the front page of Nepali media, she claimed. A young reporter at Bizpati online Ms. Bhawana Lama argued that while boosting self confidence is imperative for female journalists. They are however discriminated in many ways, she added. Female journalists reporting on parliamentary issues are yet not provided with parliamentary press card, she complained. One of the participants also said that if there was a fear suffering woman journalists it is the ‘fear of being raped’. It is not girl/women’s personal problem, but the product of entire system. Likewise, some participants expressed dissatisfaction upon financial discrimination among male and female journalists prevalent in most of the media houses. In some cases, their male colleagues intentionally create gender unfriendly environment in the workplace, they shared. 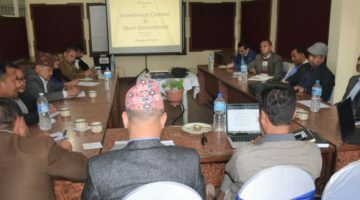 Lastly, concluding the program, FF’s Chairperson Hari Binod Adhikari recommended participant journalists to write quality news giving different angles to the issues. He also suggested media houses to provide opportunity for main beats reporting to female journalists and empower those to increase their visibility in the media contents.